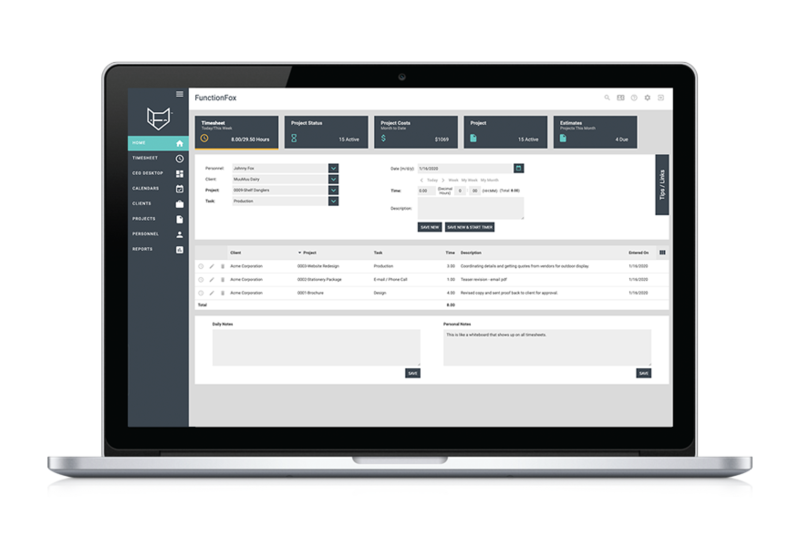 FunctionFox builds simple, intuitive, and powerful tools that makes time-tracking effortless, administrative process quick and painless, and workflow trouble-free. 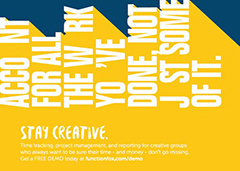 Make time to do the work you love with the proven project management and time-tracking software designed for creative professionals. Stay on top of projects and prevent scope creep. FunctionFox offers an affordable way to stay on top of essential administrative activities - one that is simple to set up, easy-to-use, and highly effective. 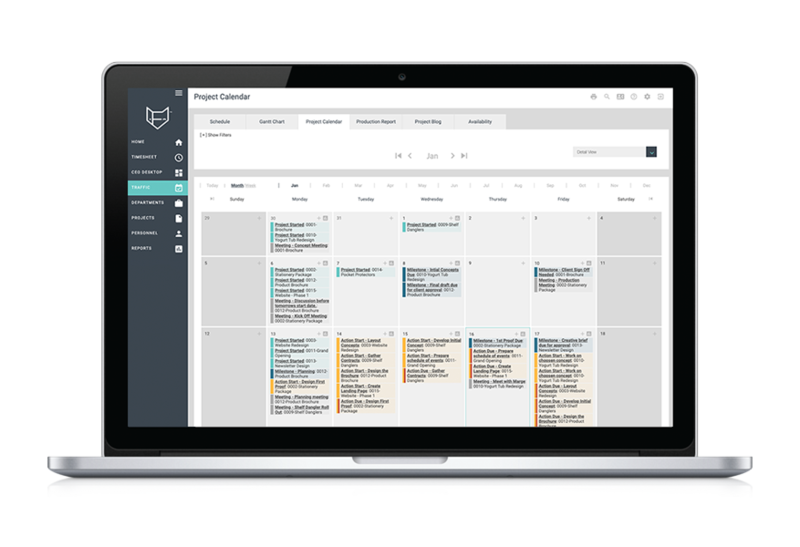 Advanced project management with the ability to assign and schedule tasks for teams looking for increased control. Easily track internal and external communication and know what everyone is doing — even when you have multiple projects on the go. Keep your production schedules and job progress in line with your estimates and budgets. 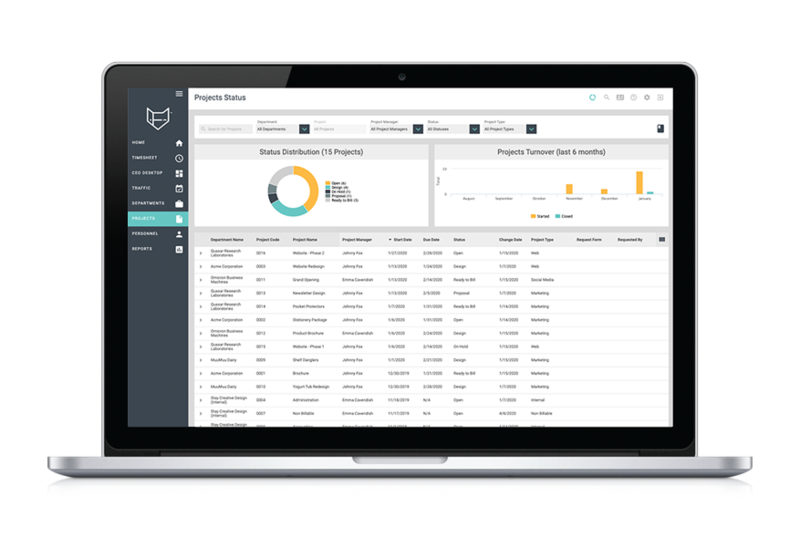 FunctionFox is an online tool for tracking time and expenses, keeping to estimate, and managing clients and projects. Streamline internal processes, keep multiple projects on track, and get the recognition your team deserves. Simplify processes and procedures and manage productivity effectively. Helps small creative teams to communicate and receive requests from many different departments using customized request forms. Improve teamwork while handling projects from concept to completion.